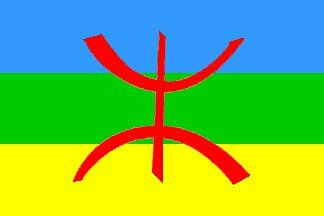 The Amazigh, also often referred to as Berber, are descendants of the pre-Arab people in North Africa. The Amazigh population amounts to around 30 to 40 million people, who are spread out across Morocco (around 14 million), Algeria (around 9 million), Tunisia, Libya, Egypt, Mali, Niger and Mauritania. There are also large Amazigh migrant communities across Europe. Their common identity is defined through their languages, ethnicity and their shared history. Following the Arab-Muslim Conquest of North Africa in the 7th Century, Amazigh languages were mostly replaced, by choice or force, by Arabic. Today, these languages are not recognized in most of the countries in which the Amazigh live and are, therefore, not taught at school. Furthermore, the Amazigh communities often face segregation and discrimination in their home countries and deliberate attempts are made to destroy the Amazigh culture.